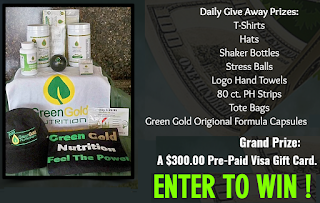 Green Gold Nutrition Prize Pack Giveaway - 30 Winners Win a Nutrition Prize Pack, 4 Grand Prize $25, $50, $100 or $300 Gift Card Winners. Daily Entry, Ends 9/16/18. GOOD LUCK! !